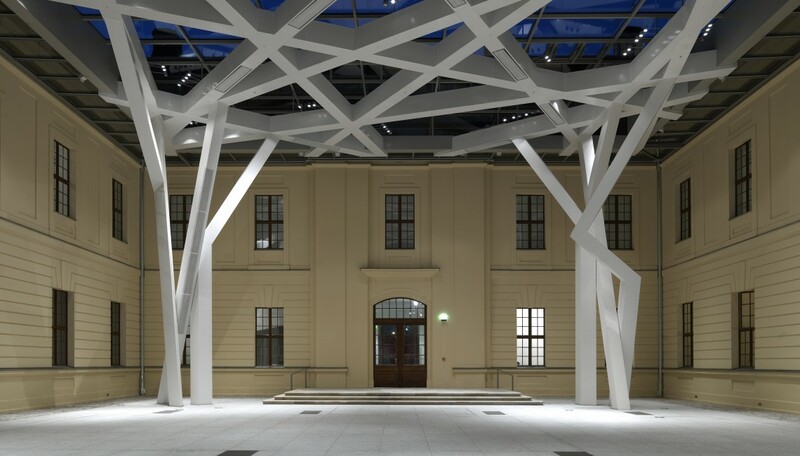 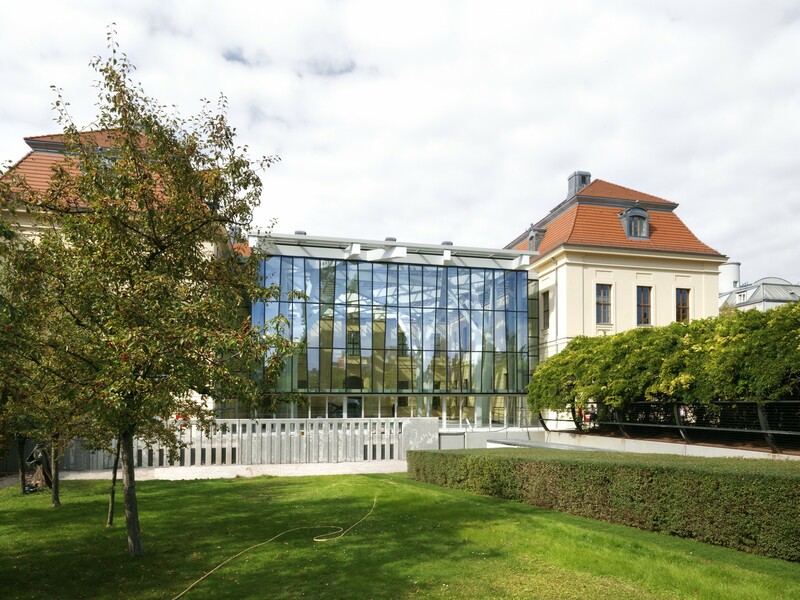 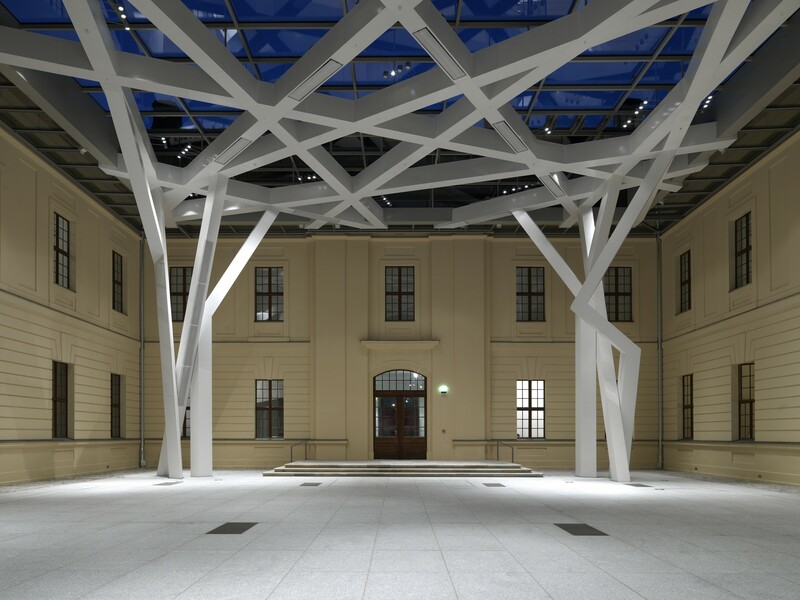 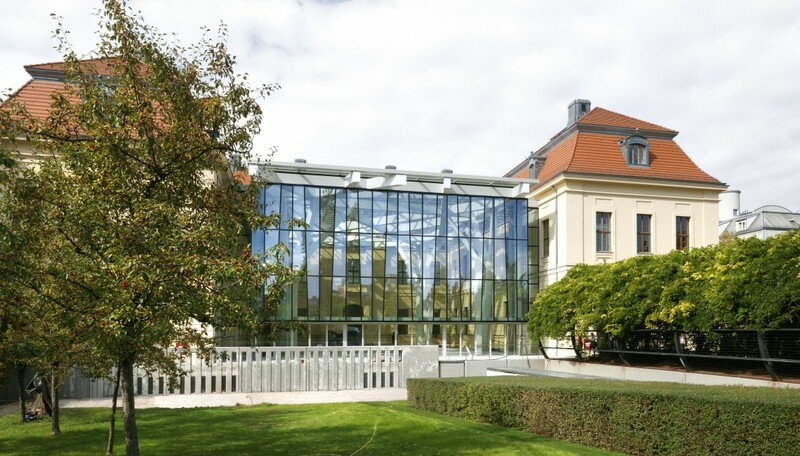 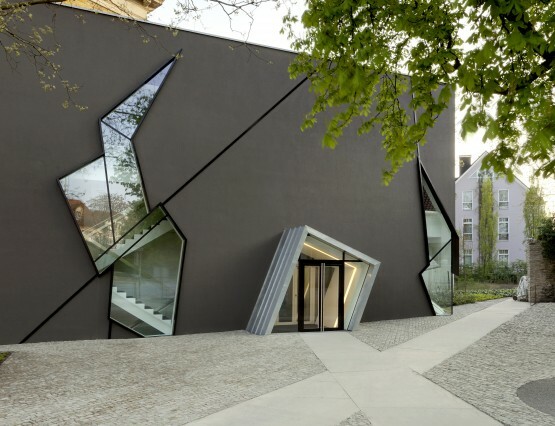 This 7,000 square foot addition to the Jewish Museum in Berlin is located in the courtyard of the historical building, “Kollegienhaus”, which was built in 1735. 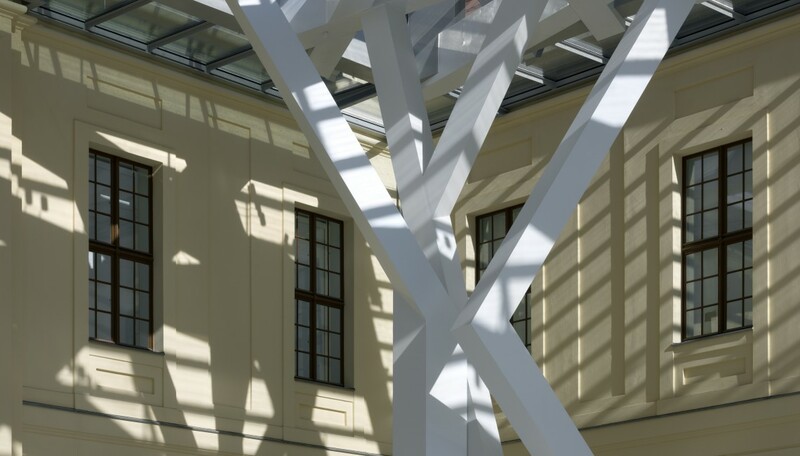 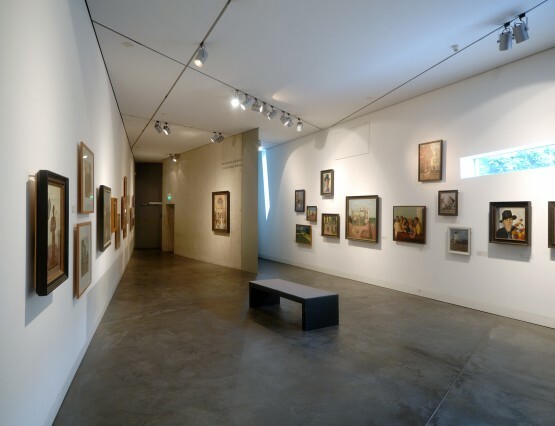 The museum needed a multifunctional space that would provide additional room for the museum’s restaurant and extend the lobby to provide event space for lectures, concerts, and dinners. 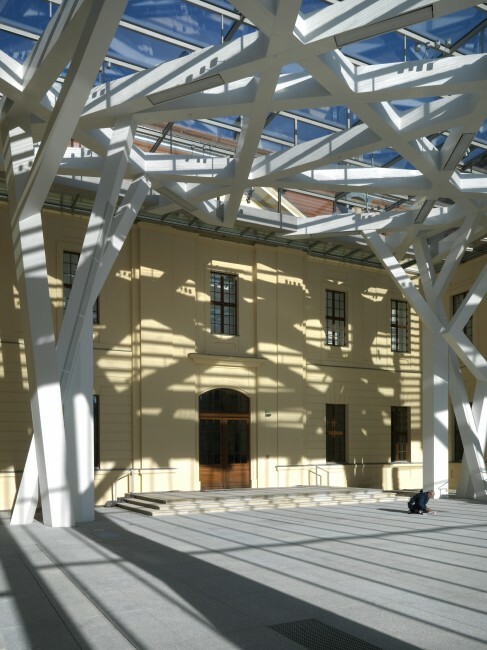 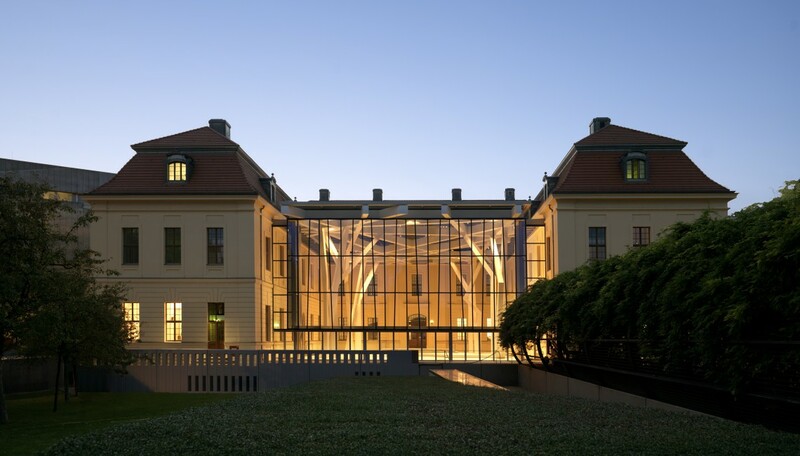 The distinctive architecture of the addition creates a space that can be used throughout the year while preserving the courtyard qualities of the baroque building. 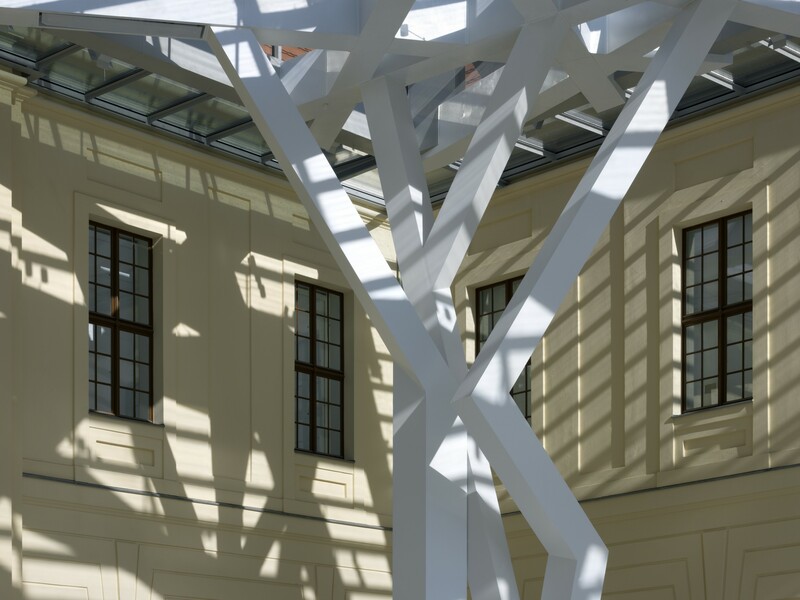 Within the columns supporting the roof, there is a sophisticated sound system and within the enclosure itself, a stage rises from underground. 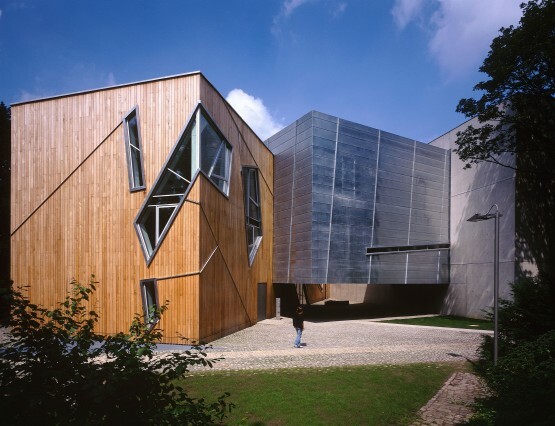 The new building is inspired by the Sukkah huts that are used for gatherings during the Jewish festival of Sukkot. 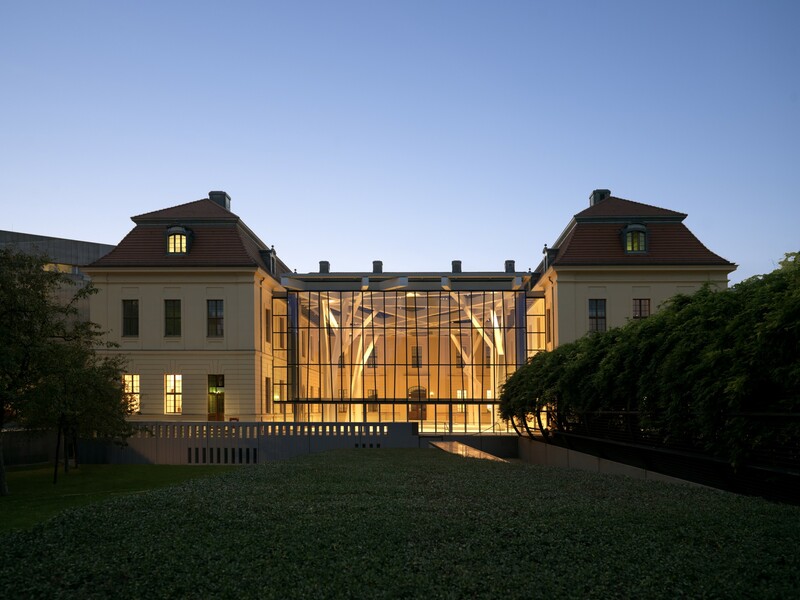 The extension has a transparent glass roof and curtain walls that offer unobstructed views of the garden. 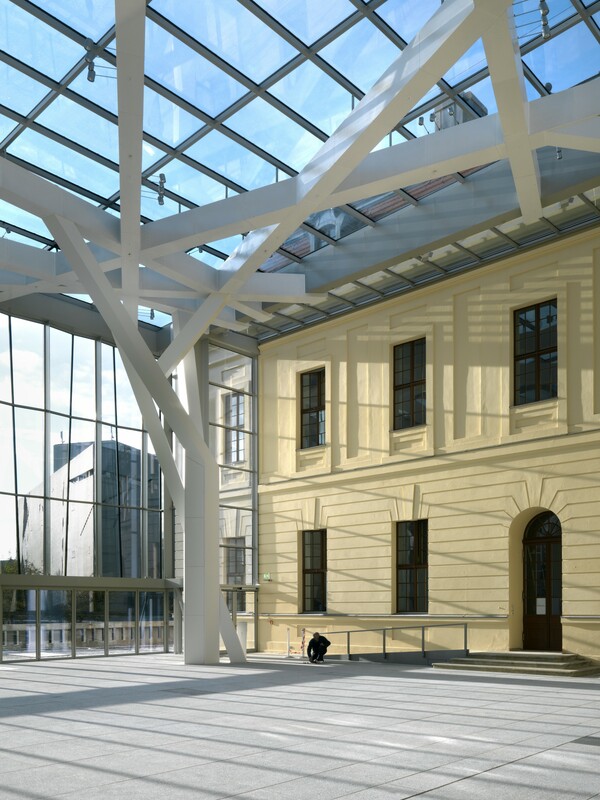 In the summer, sliding doors can be opened along the lower front elevation to transform the courtyard into an outdoor space. 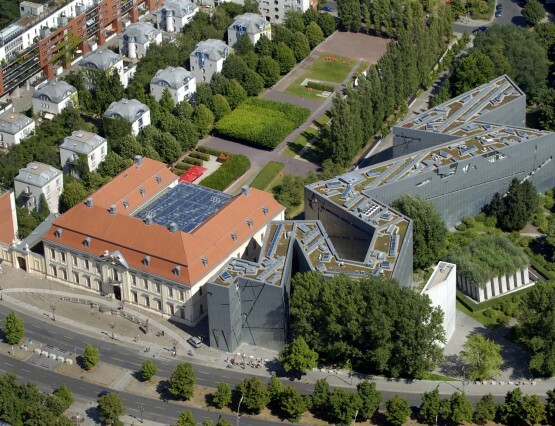 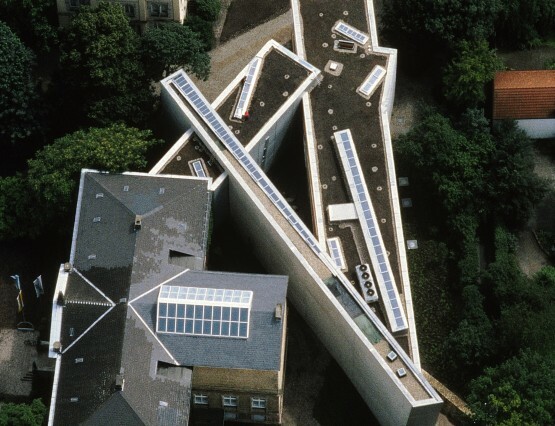 The Courtyard opened in Berlin, Germany during September 2007. 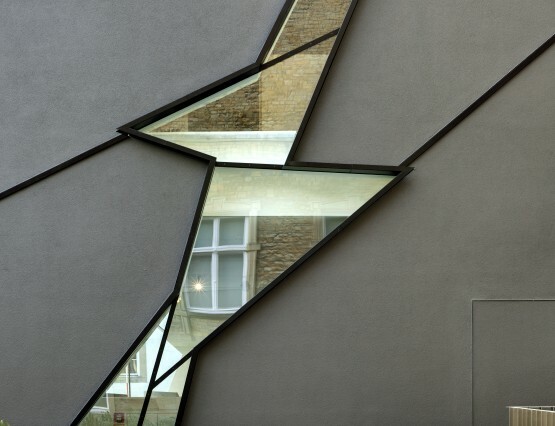 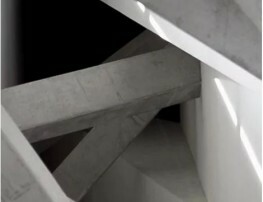 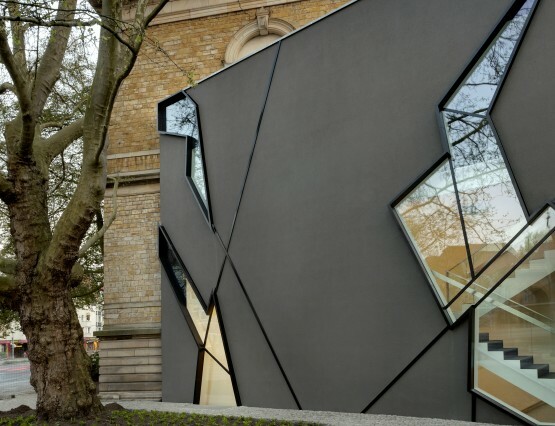 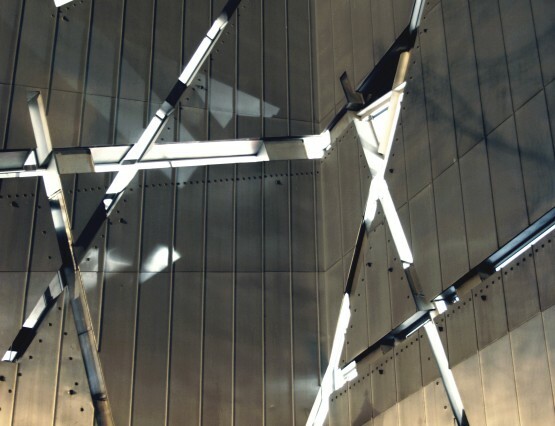 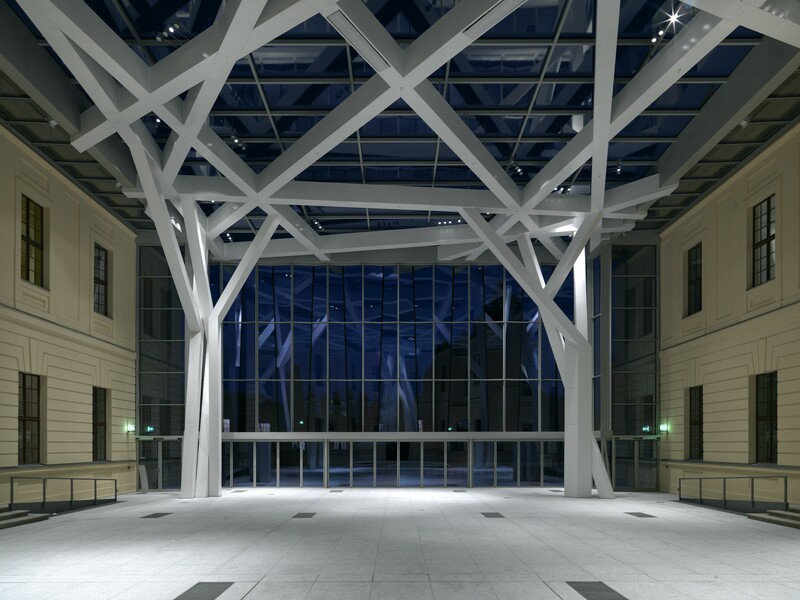 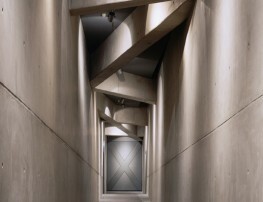 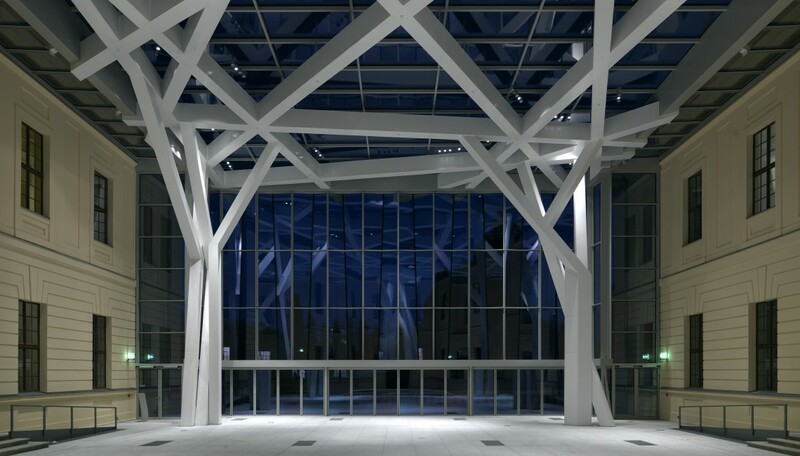 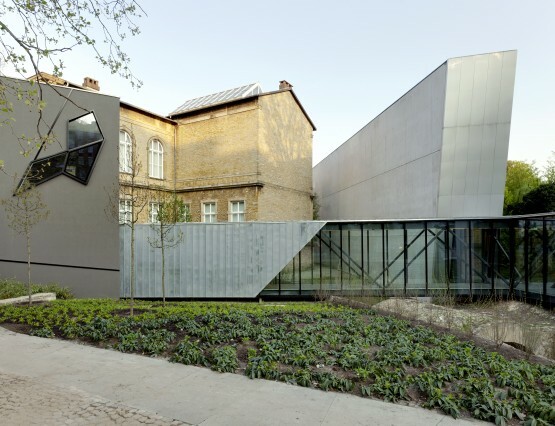 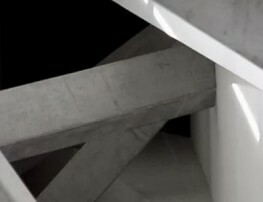 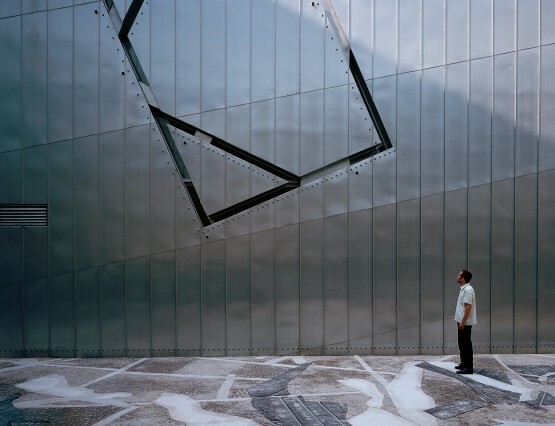 Studio Libeskind worked with Matthias Reese at Reese Architekten to complete the project.